Let us plan your next corporate incentive trip, or even develop your MICE travel program from the ground up! MICE stands for “Meetings, Events, Incentives, and Conferences”. Incentive travel is a great way to reward your team, and since we specialize in groups of 10 and up we can offer perks and discounts by booking with us. We offer a wide array of all-inclusive resorts amongst the world’s most beautiful beaches. Each incentive group will receive their own dedicated agent, so service is personalized, and booking is a breeze. Your incentive trip can feature as much or as little as you would like, from social events to private dinners and group excursions. 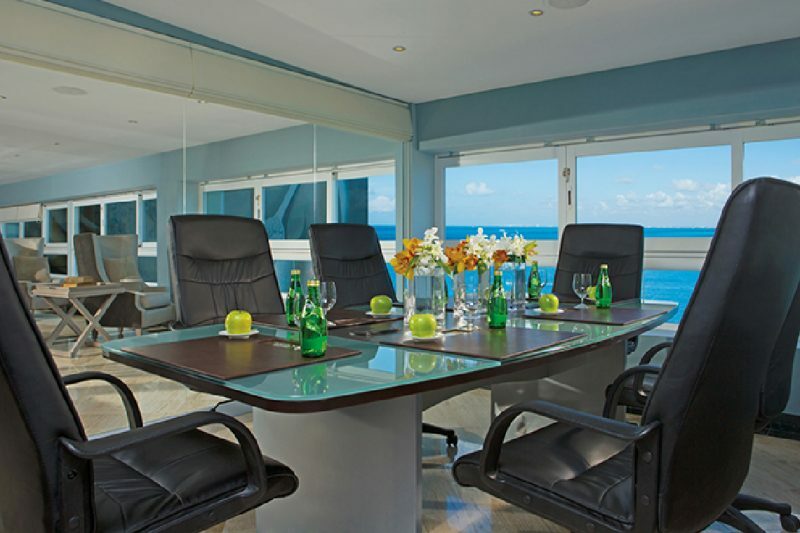 We’ll find that perfect event space too, from theaters to ocean-view conference rooms. We can develop full-service incentive programs. Using our technology we can create one point of digital access, where organizations can track employee progress on goals and objectives, along with rooming accommodations and more. Incentive trips can be coordinated exactly how you’d like. From offering multiple destinations for separate groups to utilizing resorts that offer full-scale event planning departments, to make coordination easy. We can work with budgets of any size. We’ll take any schedules and budget constraints into consideration to make sure your destination fits your organization’s needs. We offer tiered room categories and charter flights too. Travel incentive programs are designed to inspire your employees and show your team you appreciate their hard work. Not only can we handle the coordination and accommodations for your group, but we can also select the best resort for your group. This means you’ll have the perfect retreat, with ideal event spaces for seminars, presentations, cocktail hours or simply relaxing! We can offer full-service incentive programs, so every last detail is covered. If you’re developing a complete program our technology can serve as one digital access point to track your groups, a place to track employee’s standings for objectives and goals, along with room accommodations and more. Your chosen resort will feature trained professionals who will coordinate every moment of your group’s itinerary if necessary. Since we work with groups starting at 10 guests and up, we can get group discounts from many of the resorts we feature. Discounts may be based on the size of your business group traveling. We offer low deposits to lock in room rates, and payment plans are available to make paying for a trip easily affordable. Each group receives their own custom website, where travelers can find resort information, room categories, and even be able to pay deposits and make payments directly. Some of the resorts we feature offer amazing perks for group leaders. These perks can range from room upgrades and resort credits, all the way up to an entirely free trip!